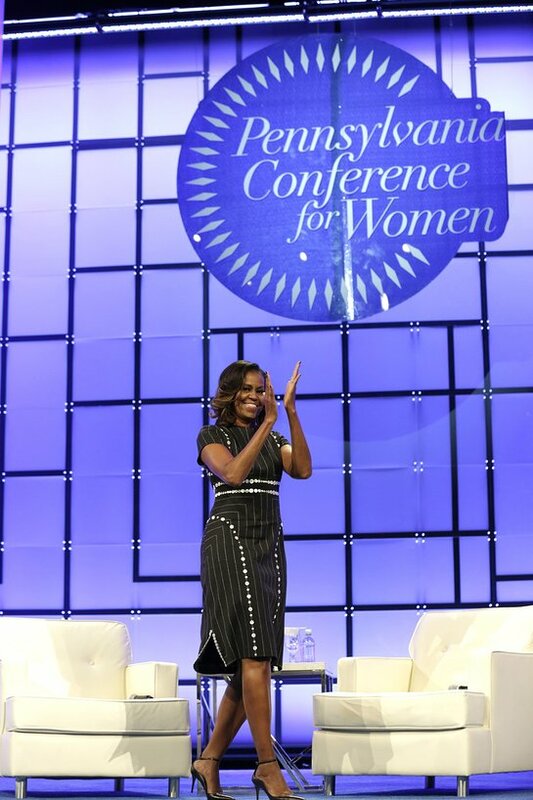 In a wide-ranging conversation at the 14th annual Pennsylvania Conference for Women with writer, producer, and bestselling author Shonda Rhimes, former First Lady Michelle Obama discussed women’s struggles with confidence, risk-taking and failure. 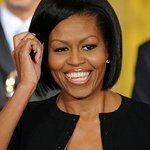 She also discussed parenting challenges and her adjustment to private life after eight years in the White House. The event concluded with a surprise video tribute by former President Barack Obama, on the couple’s 25th wedding anniversary. This year’s conference also featured keynote addresses by Dr. Brené Brown, courage and vulnerability researcher, #1 New York Times best-selling author, and one of the top five most viewed TED speakers in the world; Shawn Achor, New York Times bestselling author of The Happiness Advantage; and Carla Harris, Wall Street executive and author. The nonpartisan, nonprofit conference is the largest personal and professional networking event for women in the tri-state area, featuring more than 100 thought leaders and industry experts from across the country in the fields of business, philanthropy, health, finance, media and professional development. The Pennsylvania Conference for Women is presented by Beneficial Bank and Beneficial Foundation and generously sponsored by Bristol-Myers Squibb; Cisco; Drexel University LeBow College of Business; GlaxoSmithKline; Johnson & Johnson; PECO; Prudential; QVC Inc.; State Farm; JPMorgan Chase; DuPont; Macquarie Investment Management; Mastercard; Penn Mutual; State Street Corporation; Villanova School of Business; AARP Pennsylvania; ACME Markets; Amtrak; Bentley Systems; Comcast NBCUniversal; DLA Piper LLP (US); The Dow Chemical Company; Erin Condren; Fine Wine & Good Spirits; Merck; Pepper Hamilton LLP; PNC; Shriners Hospitals for Children; The Philadelphia Foundation; United Airlines; UPMC Health Plan; Vanguard; and media sponsors WPVI-TV 6abc; iHeartMedia; Philadelphia Magazine; Philadelphia Media Network; and Tierney.